Mustafa, N.S. and M. Ismail, 2017. Hydrogen sorption improvement of MgH2 catalyzed by CeO2 nanopowder. J. Alloys Compounds, 695: 2532-2538. Halim Yap, N.F. and M. Ismail, 2017. The hydrogen storage properties of Mg-Li-Al composite system catalyzed by K2ZrF6. J. Phys. Chem. Solids, (In Press). .
Sulaiman, N.N., N.S. Mustafa and M. Ismail, 2016. Effect of Na3FeF6 catalyst on the hydrogen storage properties of MgH2. Dalton Trans., 45: 7085-7093. Sulaiman, N.N., N. Juahir, N.S. Mustafa, M.F.H. Yap and M. Ismail, 2016. Improved hydrogen storage properties of MgH2 catalysed with K2NiF6. J. Energy Chem., 25: 832-839. Sulaiman, N.N. and M. Ismail, 2016. Enhanced hydrogen storage properties of MgH2 co-catalyzed with K2NiF6 and CNTs. Dalton Trans., 45: 19380-19388. Mustafa, N.S., N.N. Sulaiman and M. Ismail, 2016. Effect of SrFe12O19 nanopowder on the hydrogen sorption properties of MgH2. RSC Adv., 6: 110004-110010. Mustafa, N.S., N. Juahir, F.A.H. Yap and M. Ismail, 2016. Enhanced hydrogen storage properties of MgH2 by the addition of PdCl2 catalyst. Int. J. Electroactive Mater., 4: 1-7. Mustafa, N.S., M.C. Law and M. Ismail, 2016. Study the effect of NiF2 additive on the hydrogen sorption properties of 4MgH2+Li3AlH6 destabilized system. Mater. Today: Proc., 3: S96-S103. Kadir, M.A., N. Mansor, W.M. 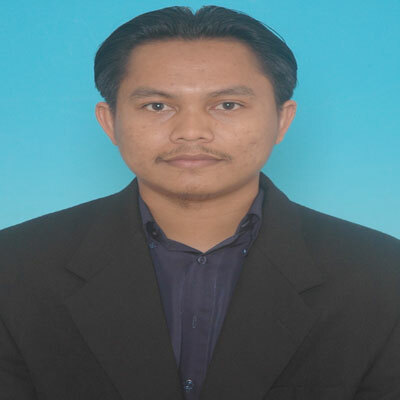 Khairul, M.S. Mohd and M. Ismail, 2016. Synthesis and characterization of new metal-organic framework derived from 6- (methoxycarbonyl) pyridine-2-carboxylic acid as application for hydrogen storage materials. Int. J. Applied Chem., 12: 257-271. Ismail, M., N.S. Mustafa, N. Juahir and F.A.H. Yap, 2016. Catalytic effect of CeCl3 on the hydrogen storage properties of MgH2. Mater. Chem. Phys., 170: 77-82. Ismail, M., F.A.H. Yap, N.N. Sulaiman and M.H.I. Ishak, 2016. Hydrogen storage properties of a destabilized MgH2-Sn system with TiF3 addition. J. Alloys Compounds, 678: 297-303. Ismail, M., 2016. The hydrogen storage properties of destabilized MgH2-AlH3 (2:1) system. Mater. Today: Proc., 3: S80-S87. Ismail, M. and N.S. Mustafa, 2016. Improved hydrogen storage properties of NaAlH4-MgH2-LiBH4 ternary-hydride system catalyzed by TiF3. Int. J. Hydrogen Energy, 41: 18107-18113. Yap, F.H., N.S. Mustafa and M. Ismail, 2015. A study on the effects of K2ZrF6 as an additive on the microstructure and hydrogen storage properties of MgH2. RSC Adv., 5: 9255-9260. Yap, F.H., M.H.I. Ishak and M. Ismail, 2015. Enhanced hydrogen storage performance of destabilized 4MgH2-Li3AlH6 system doped with Co2NiO nanopowder. Int. J. Hydrogen Energy, 40: 10131-10138. Mustafa, N.S., N.H. Idris and M. Ismail, 2015. Effect of K2TiF6 additive on the hydrogen storage properties of 4MgH2-LiAlH4 destabilized system. Int. J. Hydrogen Energy, 40: 7671-7677. Juahir, N., N.S. Mustafa, F.H. Yap and M. Ismail, 2015. Study on the hydrogen storage properties and reaction mechanism of NaAlH4-Mg(BH4)2 (2:1) with and without TiF3 additive. Int. J. Hydrogen Energy, 40: 7628-7635. Juahir, N., N.S. Mustafa, A.M. Sinin and M. Ismail, 2015. Improved hydrogen storage properties of MgH2 by addition of Co2NiO nanoparticles. RSC Adv., 5: 60983-60989. Juahir, N., F.H. Yap, N.S. Mustafa and M. Ismail, 2015. Hydrogen storage properties of 4MgH2-Li3AlH6 composite improved by the addition of K2TiF6. Int. J. Hydrogen Energy, 40: 12713-12720. Ismail, M., 2015. Effect of LaCl3 addition on the hydrogen storage properties of MgH2. Energy, 79: 177-182. Rahman, M.M., M. Ismail and W.B. Wan Nik, 2014. Effect of zinc coating thickness on corrosion performance of mild steel in atmospheric and seawater environment. Applied Mech. Mater., 554: 213-217. Mustafa, N.S. and M. Ismail, 2014. Influence of K2TiF6 additive on the hydrogen sorption properties of MgH2. Int. J. Hydrogen Energy, 39: 15563-15569. Mustafa, N.S. and M. Ismail, 2014. Enhanced hydrogen storage properties of 4MgH2+ LiAlH4 composite system by doping with Fe2O3 nanopowder. Int. J. Hydrogen Energy, 39: 7834-7841. Ismail, M., N. Juahir and N.S. Mustafa, 2014. Improved hydrogen storage properties of MgH2 co-doped with FeCl3 and carbon nanotubes. J. Phys. Chem. C, 118: 18878-18883. Ismail, M., A. Sinin, C. Sheng and W.W. Nik, 2014. Desorption behaviours of lithium alanate with metal oxide nanopowder additives. Int. J. Electrochem. Sci., 9: 4959-4973. Ismail, M., 2014. Study on the hydrogen storage properties and reaction mechanism of NaAlH4-MgH2-LiBH4 ternary-hydride system. Int. J. Hydrogen Energy, 39: 8340-8346. Ismail, M., 2014. Influence of different amounts of FeCl3 on decomposition and hydrogen sorption kinetics of MgH2. Int. J. Hydrogen Energy, 39: 2567-2574. Sheng, C.K., M.R.M. Dris, M.I.N. Isa and M. Ismail, 2013. Effects of ethylene glycol concentration on cadmium sulphide nanowires growth. Int. J. Electroactive Mater., 1: 23-27. Ismail, M., Y. Zhao, X. Yu and S.X. Dou, 2013. Improved hydrogen storage property of LiAlH4 by milling with carbon based additives. Int. J. Electroactive Mater., 1: 13-22. Ismail, M., Y. Zhao and S.X. Dou, 2013. An investigation on the hydrogen storage properties and reaction mechanism of the destabilized MgH2-Na3AlH6 (4:1) system. Int. J. Hydrogen. Energy, 38: 1478-1483. Ismail, M., Y. Zhao, X.B. Yu and S.X. Dou, 2012. Improved hydrogen storage performance of MgH2-NaAlH4 composite by addition of TiF3. Int. J. Hyd. Energy, 37: 8395-8401. Ismail, M., Y. Zhao, X. Yu and S.X. Dou, 2012. Improved hydrogen storage properties of MgH2 doped with chlorides of transition metals Hf and Fe. Energy Educ. Sci. Technol. Part A: Energy Sci. Res., 30: 107-122. Mao, J., Z. Guo, X. Yu, M. Ismail and H. Liu, 2011. Enhanced hydrogen storage performance of LiAlH4-MgH2-TiF3 composite. Int. J. Hydr. Energy, 36: 5369-5374. Ismail, M., Y. Zhao, X.B. Yu, J.F. Mao and S.X. Dou, 2011. The hydrogen storage properties and reaction mechanism of the MgH2-NaAlH4 composite system. Int. J. Hydr. Energy, 36: 9045-9050. Ismail, M., Y. Zhao, X.B. Yu, I.P. Nevirkovets and S.X. Dou, 2011. Significantly improved dehydrogenation of LiAlH4 catalysed with TiO2 nanopowder. Int. J. Hydr. Energy, 36: 8327-8334. Ismail, M., Y. Zhao, X.B. Yu, A. Ranjbar and S.X. Dou, 2011. Improved hydrogen desorption in lithium alanate by addition of SWCNT-metallic catalyst composite. Int. J. Hydr. Energy, 36: 3593-3599. Ismail, M., Y. Zhao, X.B. Yu and S.X. Dou, 2011. Effect of different additives on the hydrogen storage properties of the MgH2-LiAlH4 destabilized system. RSC Adv., 1: 408-414. Ranjbar, A., M. Ismail, Z.P. Guo, X.B. Yu and H.K. Liu, 2010. Effects of CNTs on the hydrogen storage properties of MgH2 and MgH2-BCC composite. Int. J. Hydr. Energy, 35: 7821-7826. Ismail, M., Y. Zhao, X.B. Yu and S.X. Dou, 2010. Effects of NbF5 addition on the hydrogen storage properties of LiAlH4. Int. J. Hydrogen Energy, 35: 2361-2367.